*Dilly Dolls*: New Store! New Stuff! There's a lot to say about the new store but no explanation will do it justice! You'll Just have to come see it for yourself! Click here to pop to the store immediately! All new lucky boards (3 of them now) a new layout and hidden places. We're back to Alice in Wonderland and you'll love it I promise. As for the new items out there is plenty to choose from. 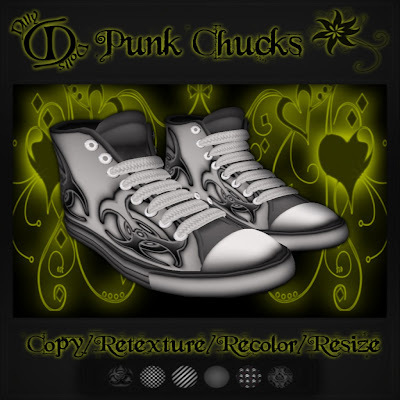 An amazing new hair, two pairs of shoes and three new skin packs! 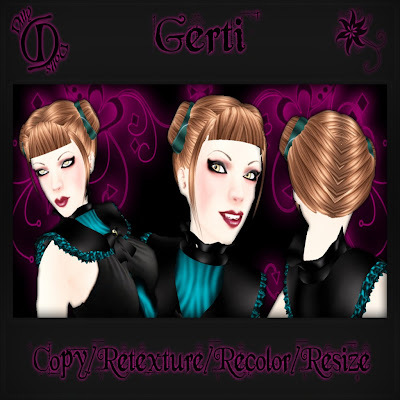 Gerti is very cute and has scripts that will change the hair color and hairband color to anything you can imagine! 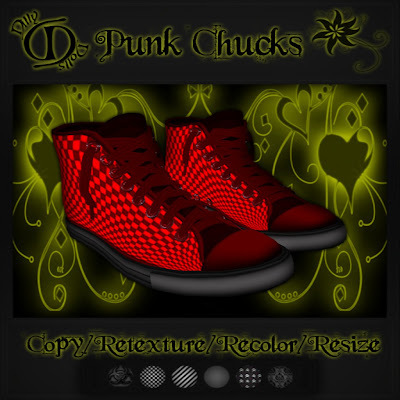 The Punk Chucks come totally color and size changeable with a number of textures you can choose from! Just a few clicks will match them to any outfit. And of course Oriana brings back two familiar skins in new packs and a totally new pack. 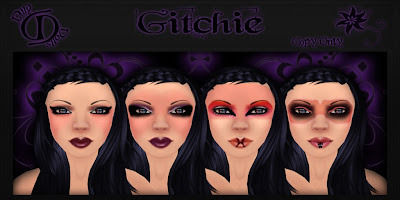 The variety is awesome and gives you skins for every mood, outfit, or activity. And the price just couldn't be better! Now that you've had a good look at all the new items PLEASE come by and see the new store! And if you have any questions about the store or our products contact me anytime at Amaranth@dillydolls.com or drop a notecard to Amaranth Sorbet on SL. Last but CERTAINLY not least I'd like to send a special warm welcome to Lolibye Hermit our newest staff member and Assistant Manager. If I don't get back to you right away please drop her a line on SL or her e-mail Lolibye@dillydolls.com. Make sure you say 'Hi' to her when you come in. She won't bite I promise!